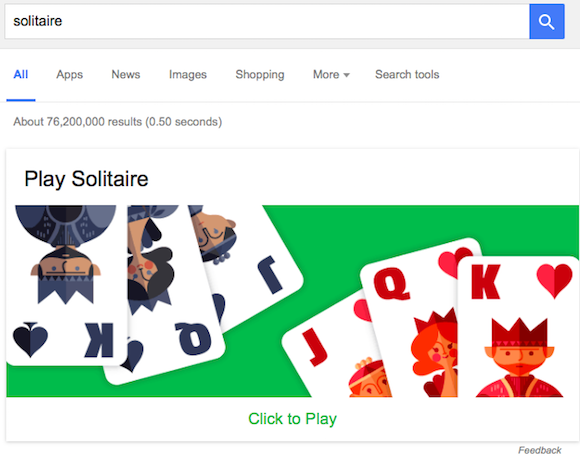 Google Search now comes with 2 games you can play right from your desktop or mobile browser: Solitaire and Tic-Tac-Toe. 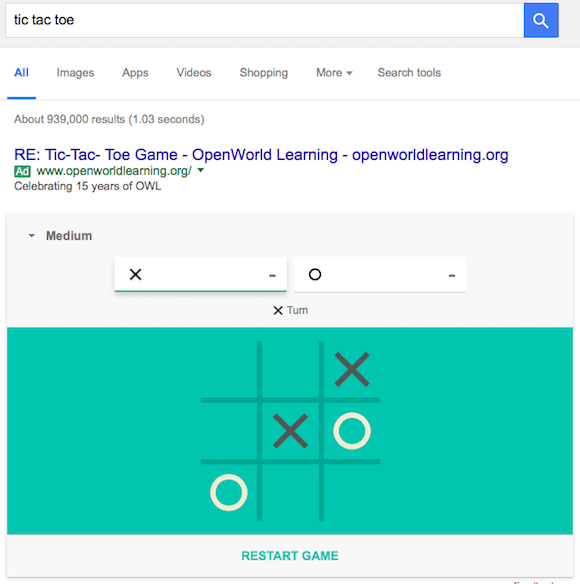 Just search for [solitaire] or [tic tac toe] and you can quickly start the games. 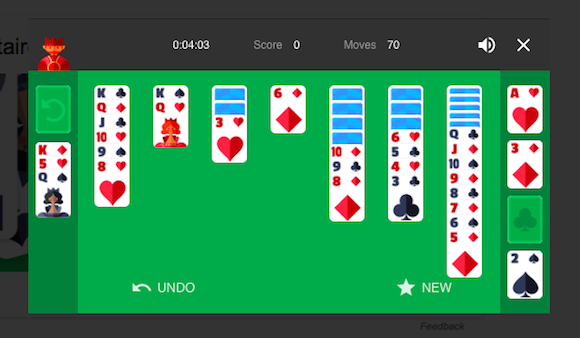 Solitaire has 2 difficulty levels: easy and hard. The game has realistic sounds and animations (you can mute sounds) and it also shows your stats, just like any other Solitaire app. Unfortunately, Google doesn't save your state, so you can't resume a game later. 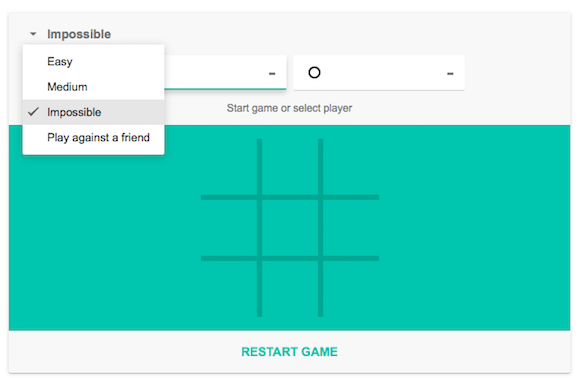 Tic-Tac-Toe is much simpler and less pretty. You can choose between 3 difficulty levels (easy, medium and impossible) or pick an option that lets you play against a friend. The easy level always lets you win, the medium level lets you win sometimes, while in the impossible level you can never win. 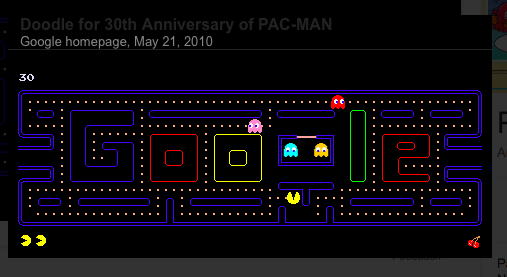 An older game you can still play from Google Search is Pac-Man. 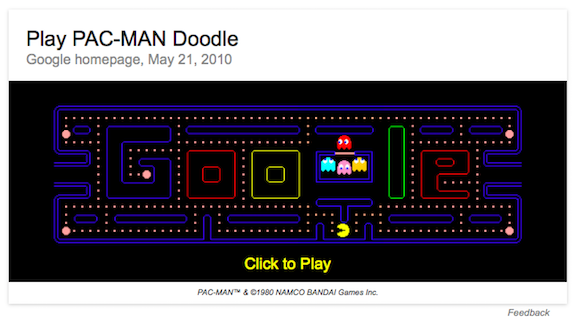 It's actually the interactive doodle from May 21, 2010.